Graciano Cruz, an experimental agronomist has created a farm at Los Lajones under perfect conditions to undertake research on producing exquisite and delicious co­ffee. The elevations define the farm as highland cloud forest with greater than 60% of the farm conserved as primary oakwoodland. Los Lajones has a strong biodiversity principle, focussing on botanic, birds, mushrooms and butterflies – all indicators of a healthy environment. At Los Lajones the difference is all down to the meticulous attention to detail. Only perfect red ripe cherries are selected, which are laid out directly onto a raised African bed structure that permits air to circulate around the co­ffee. This speeds up drying to give an even and thorough finish and extremely clean, sweet flavour to the coff­ee. 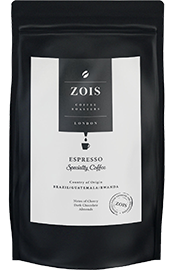 TASTING NOTES Incredibly sweet coff­ee, mix and match of ripe fruits: pineapple, passion fruit, lemon, ripe cherry. 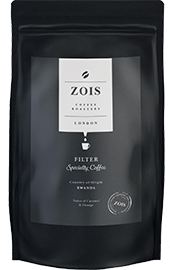 Hint of co­ffee blossom and tea-rose in the finish.